I thought the book offered a fresh approach of how sales and marketing can effectively work together towards a common purpose. Hugh Macfarlane writes a business story to illustrate how the company discusses and implements the buyer's journey. His writing style is concise and easy to read, yet goes into sufficient detail to explain this approach. 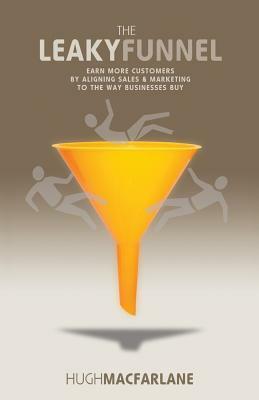 A must-read for anyone in sales or marketing looking to improve their approach. Scarily boring narrative with interesting side bar of references.That's the best way to describe it. The reference reading and material from this list is definitely something of value as is some of the methodology espoused. That being said it could have been a 20 page case study from HBR rather than a 200 page story.Not worth reading except for the back appendices.